Happy Friday!! My kids have a half day and Christmas Break starts!! I'm ready for a break from the normal routine how about you?? Today I wanted to share another layout I created using the Decmber Kit from Citrus Twist. This is the picture I used for my Christmas card. I wanted to take them out in the morning while there was frost on the ground. You can't really see it here but it was fun! Thanks so much for stopping by! Hope you have a great Holiday Weekend! Sorry I have not been posting as regular as normal lately. This month has been way busier than normal with 4 kids and tons of Christmas activities at school & church I don't know if I'm coming or going LOL. I am enjoying the time with them! I wanted to share with you a fun layout using the December Main Kit & Embellishment Add-on kit from Citrus Twist. This kit is now sold out. For this layout I took white cardstock and tore it down the side. I then cut some off the edge so the red paper would fit down the middle. Thank you so much for all that stop by and leave some love!! I love to read them! I would love to win this class. I have had my DSLR for about a year and could use some help with improving my photos! Thanks for the chance to win! Please email me asap so I can get yo the code. Today is the big day for Citrus Twist Kits...It's Reveal Day!! 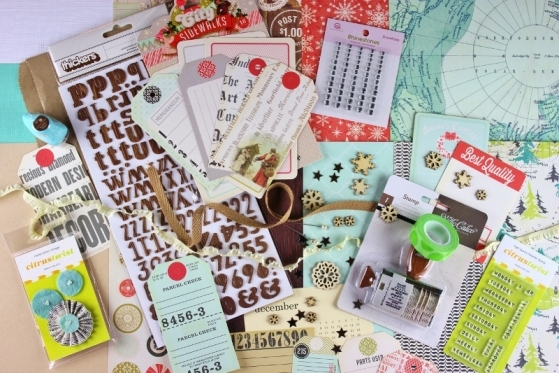 The new December kit "Holiday Getaway" is full of some of my favorite color combos red, green, teal, and brown! LOVE this kit to pieces! There are not many left so grab your quickly! Here is my layout using the main kit only! 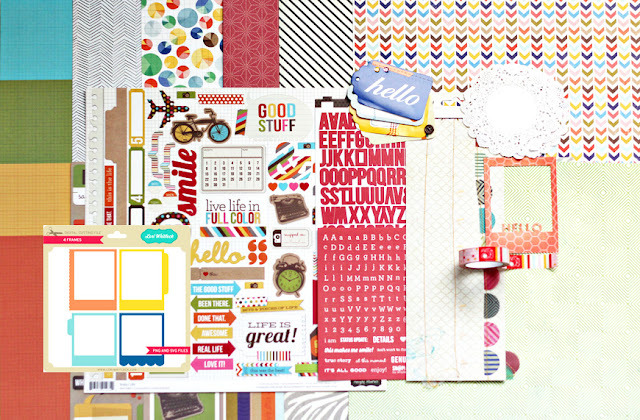 I super excited to get to offer to you chance to win a spot in the standard version of this class, The Art of Composition from Big Picture Scrapbooking!! This is going to be an amazing class you won't want to miss! Leave a comment below and I will pick a winner this Friday at 9pm est. Are you ready to see a dramatic improvement in your photographs? 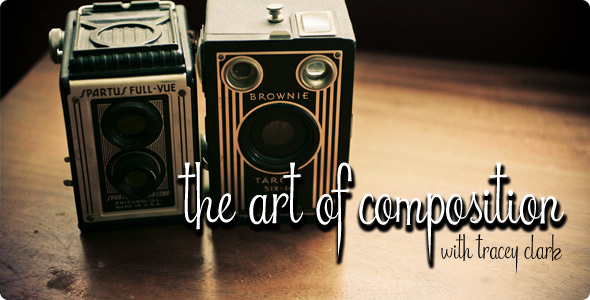 Tracey Clark, professional photographer and founder of Shutter Sisters, kicks off our 2013 4Experts series with The Art of Composition, a 12-week journey into one of the most important fundamentals of photography-namely, composition. No matter what kind of photography you enjoy, The Art of Composition will change how you look at the world around you while teaching you about line, shadow, shape, focus, negative space, balance, color and more! ● Our Standard version, the original class that delighted hundreds of students during its first run, is open for unlimited enrollment. You'll enjoy all of Tracey's original content (weekly lessons, video instruction, rich imagery, creative exercises, and challenges), plus access to a rich and vibrant community of fellow classmates. ● The Premium version, which has a limited number of seats, includes all of the features listed above, plus personal coaching and real-time interaction from Tracey. Over at American Crafts I was challenged with using a larger photo. I picked out a picture and then printed it on 2 4x6 sheets making the photo be 4x10. I had fun once I got the layout flowing. I used the Soho Garden line which is full of rich colors. and now for my exciting news...... I made the new Ormulo Design Team!! I very excited to get to work with so many amazing girls! Gossamer Blue revealed their December Kit this weekend! The kit ha s tons of fun colors in it! I loved how the Simple Stories alphas had more than one color to chose from. "Live Life in Color" for this layout I printed out the digital frames on my cameo and then place them in all different directions behind the pictures. Thanks a bunch for stopping by!! I love to read all your sweet comments! I created this card using the new Be Merry Tags from Elle's Studio! The new Design Team gallery is up over at Elle's Studio so go check out all the fabulous work! Also just a reminder there is a Design Team Call going on right now (ends tonight) you really need to try out for this! I LOVE being part of this team! !